I decided to make this quiche eggs Benedict-esque. My favorite style of eggs Benedict is what some restaurants call a “California Benedict”. It’s made with bacon and avocado and it’s… yes please! 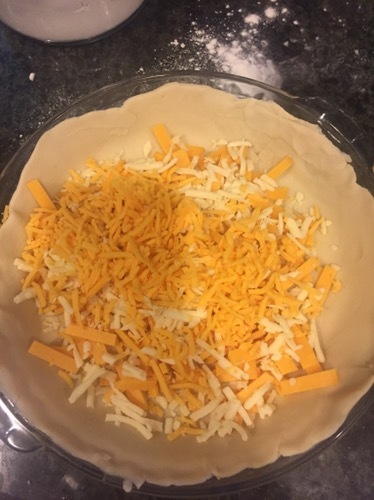 Place your pie crust into a standard pie plate. Be sure to press the edges a bit up the side of the plate. 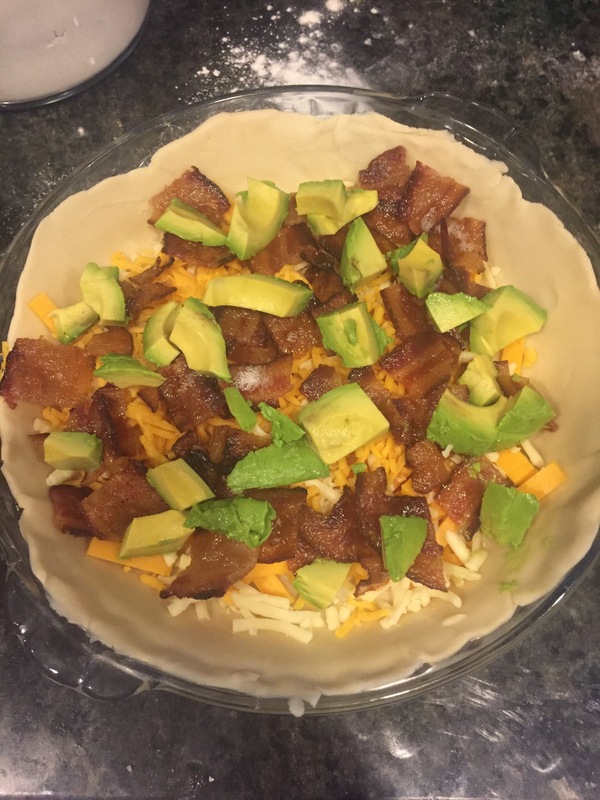 Add half of the bacon, next add half of the avocado followed by half of the cheese. Repeat these layers. 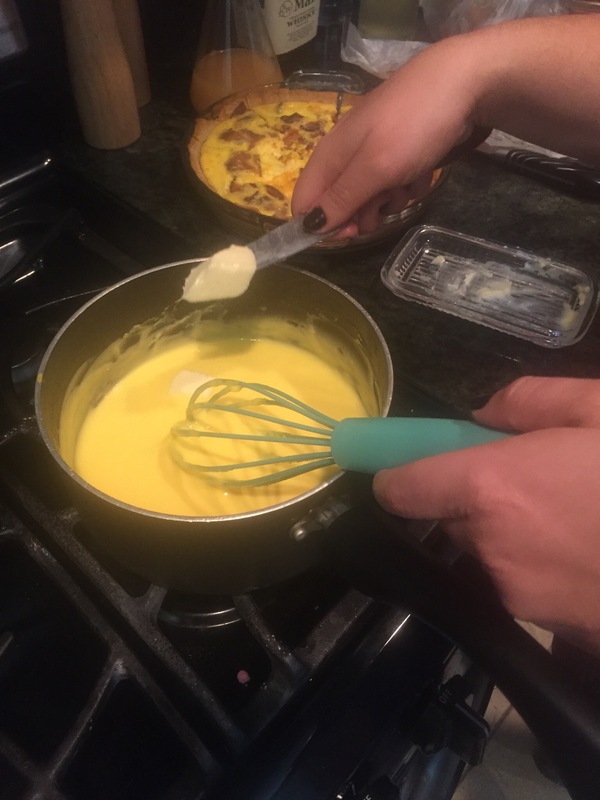 Beat together the eggs and the cream and pour it over the filling into your uncooked pie crust. 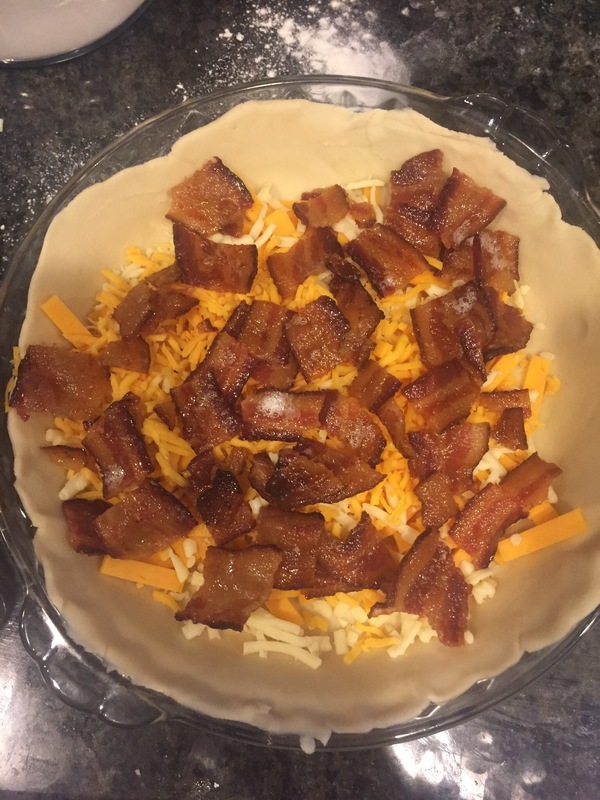 Place quiche into a 350 degree oven for about 50 minutes. The crust should be golden and the middle should still have a slight jiggle when you tap on the edge of the pie plate. 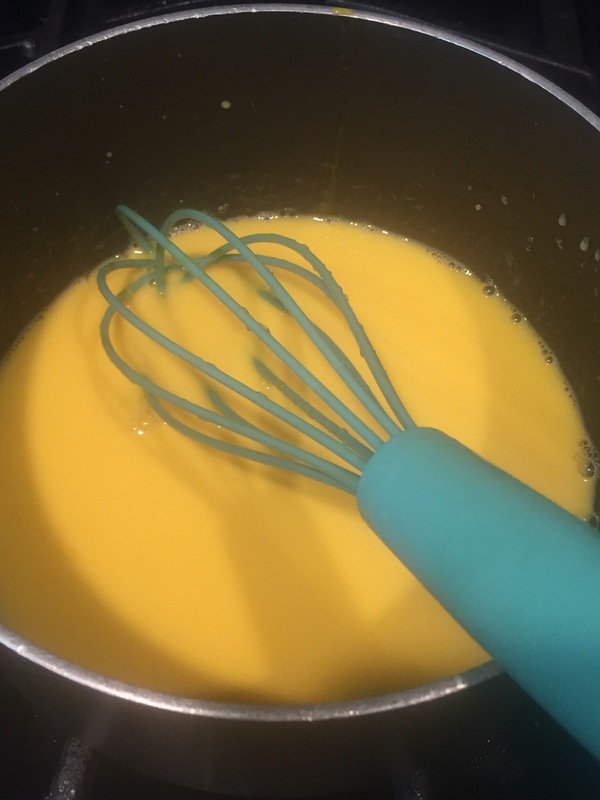 Whisk egg yolks, water and lemon juice in small saucepan until blended. Cook over very low heat, stirring constantly, until mixture bubbles at the edges. 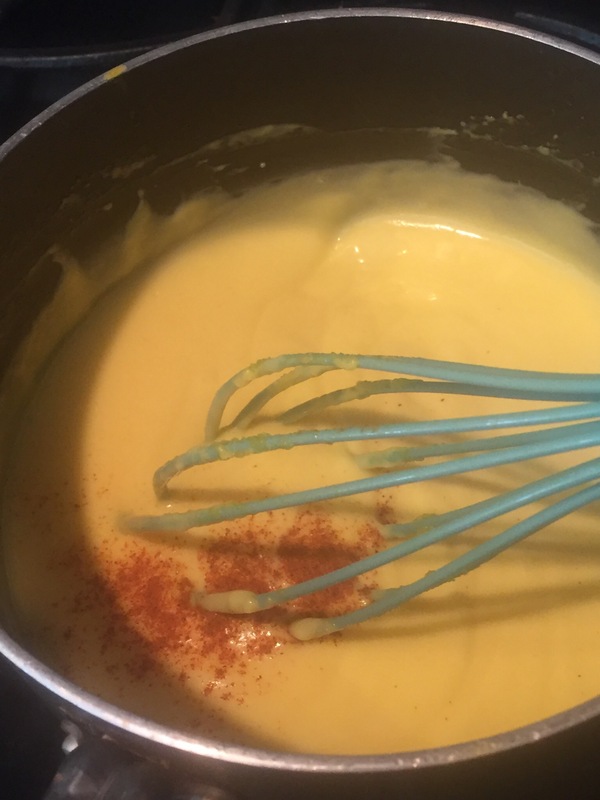 Add butter, 1 piece at a time, until butter is melted and until sauce is thickened. Remove from heat immediately. Stir in remaining ingredients and serve immediately.